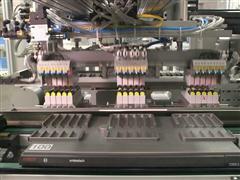 MEDIA B-ROLL : Production of NovoPen® in Novo Nordisk production site, Tianjin in China. Production of NovoPen® in Novo Nordisk production site, Tianjin in China. Various shots of production of the NovoPen® in the Novo Nordisk production site in Tianjin in China.